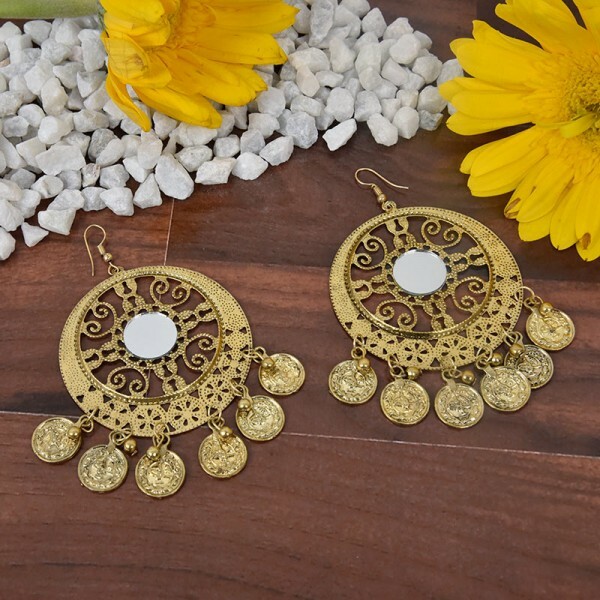 Go for this antique gold coin danglers to give a vintage bohemian look. A beautiful set of earrings to wear for special occasions, weddings and ideal bridal jewellery for brides and bridesmaids. Gift these to any women and cheer her heart.